Kaala (In-depth Analysis): The imbalance between Ranjith's grounded film-making style and Rajini-isms! Had this been the (Pa. Ranjith & SUPERSTAR Rajinikanth) duo’s first flick, ‘Kaala’ would have given us higher hopes for their second. After their lacklustre collaboration in ‘Kabali’, their second outing is a lot more coherent, has a fleshed out villain (played by Nana Patekar, who gets his share of stand-out scenes), and features a story set in the crowded slums of Dharavi (reminding us of Mani Ratnam-Kamal Hassan’s classic ‘Nayagan’). This is Dharavi in 2018, yet not much seems to have changed. We have commoners, we have land-greedy politicians, and we have dons – yes, Thalaivar is painted in shades of black (and blue too, on a few occasions) in ‘Kaala’ (if the title, the name ‘Karikaalan’, and him being referred to as ‘Raavan’ wasn’t enough. Although it appeared to be a stylistic trope in the trailer, the film contains a lot of subtext regarding the same. In a classic overturn of usual hero-villain character sketches, the antagonist in the movie is a fascist politician sporting white. It is clear that director Ranjith is trying to put across his political ideologies through that one actor (or should I say the ‘phenomenon’?) who has embraced super-stardom by portraying roles that catered heavily to the masses. Therefore, it was never going to be a job too easy (especially considering Rajni’s recent entry into politics as well). This time around, the supporting characters leave a larger impact – Kaala’s wife Selvi (played by Easwari Rao, who’s an absolute delight whenever she’s on screen) isn’t a monotonous loudmouth; she has a funny (hint: the scene where the younger son leaves their house) and romantic side (hint: when Kaala returns home from a date with his ex) to her too, which unravel at surprisingly unexpected situations; and oh yes, she can make decisions for the ‘family’ too – Vaaliyappan (played by Samuthirakani) the drunk yet trustworthy aide of ‘Kaala’ lends comic relief (and is a tad better compared to John Vijay’s Ameer in ‘Kabali’ – Lenin (played by Manikandan), the prodigal son of ‘Kaala’ who believes in upliftment – Puyal (played by Anjali Patil), a bold, strong activist and Lenin’s fiancee. It is as much the story of each and every Tamil slum-dweller in Dharavi as it is Kaala’s, thereby adding greater strength to the film’s core. The scenes between Rajini and Patekar are a riot. A lot of it has to do with less-loud-yet-hard-hitting dialogues. Each time Hari Dada tries to shut Kaala down with a powerful tirade, Kaala returns the favor (and at times, adding a dash of mythical references too). The climax of ‘Kaala’ is definitely one that’s going to be discussed by film buffs at least for a while. While I don’t wish to spoil it for anyone, all I can say is, it has been mounted stunningly and ends things on a high! 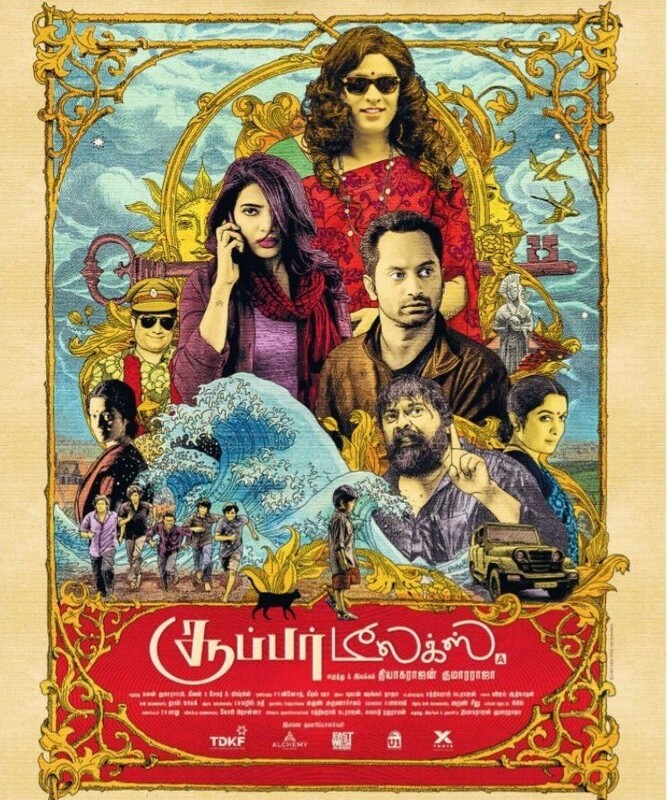 Music by Santhosh Narayanan is commercial at times (the ‘intro’ song, the melody, the ‘protest’ song) and experimental at others (random intrusion of hip-hop which most likely was improvised during filming), however, the BG score is top-notch. Murali G captures Dharavi in all its raw charm; most shots/scenes have more than a dozen people on screen at a time. The film, though, is quite lengthy and certain scenes could have easily been done away with (yes I’m looking at you Mr. Editor!). Also, we do not see a notable change in Kaala’s attitude even when people close to him are slain, thereby rendering them pointless. Huma Qureshi’s character (and her relationship with ‘Kaala’) required better writing (almost feels wasted!). 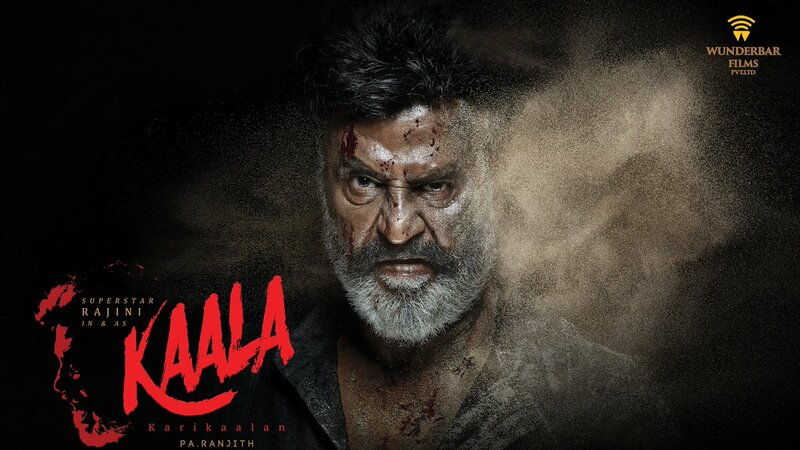 Nonetheless, if you do not mind seeing a toned-down Rajini pick a quarrel with a charismatic Nana Patekar, you should give ‘Kaala’ a watch. The fight scene in the rain (where Kaala tussles with a bunch of goons using an umbrella) before the interval is also one of the film high points!